Do you need a personal loan for expenses? Then you should definitely look for offers by top banks and NBFCs in your city. You can borrow anywhere between Rs. 1 lakh and Rs. 20 lakhs for a period of up to 5 years or lower. The loan amount can be utilized for any expenses. Many use it for wedding, education, big ticket purchases, home renovation, travel, medical emergency, etc. However, there are some factors which influence the approval of the loan application. There are particular criteria and requirement, if not fulfilled, can cause rejection of the personal loan. If you wish to know more about personal loan, then click here for information. Below given are factors which lead to rejection of personal loan application. Personal loans are usually granted to those who draw a regular monthly income, specifically salaried individuals. Such offers can be available for self-employed professionals as well like doctors, CAs, lawyers, etc. Minimum income required every month is generally Rs. 25,000. The salary should show as credited to your bank account. Cash-in hand salary will not be acceptable. Income to debt ratio is also analyzed. Age of the applicant at the time of making the application has to be at least 21 or 23 years. If you do not fulfil the income and age criteria of the financial institution then the personal loan application will be rejected. Your credit score is the most critical factor in a personal loan’s approval. A good credit score of 700+ will make for instant loan approval, as it depicts your sound financial behaviour. Any credit score lower than this may result in rejection of the loan. Even if you do get your loan approved on a low credit score, the rate of interest would be very high. Thus, it is best to maintain a strong credit score when applying for a personal loan. Financial institutions may not approve the loan application, if you plan to use the funds for any speculative purpose, such as an investment, or bidding, or an illicit activity. Though a personal loan can be utilized for endless expenses, these two purposes as given above, will not be acceptable by the lender. One of the major reasons of personal loan rejection is too many overdue. If you have ongoing loans, it is not necessarily cause disapproval of a new loan. However, if you do not pay the EMIs on time, it will affect your chances of getting another loan. Moreover, too much financial liability shows over-dependency on credit. Thus, carry loans as less as possible if you plan to apply for a personal loan. Every bank requires submission of all necessary documents with duly filled application form to process the loan application. If you do not have the required documents for personal loan, the funds will not be disbursed. You will require identity proof, address proof, recent passport-sized photographs, income proof, bank statement, proof of income tax return, salary slip etc. Your past relationship with a bank/NBFC will certainly have a say on the personal loan application approval. A good relationship with the institution will simplify the way to loan approval, and vice-versa. Bad relationship may account as you being a defaulter at a loan taken from the same bank/NBFC, or fraud, or known to submit improper documents etc. Take your financial decisions wisely by examining your current financial position. Can you afford repayments? How much is your existing liability? Will you be able to meet your daily expenses after arranging repayment for a new loan? All these questions must be answered. 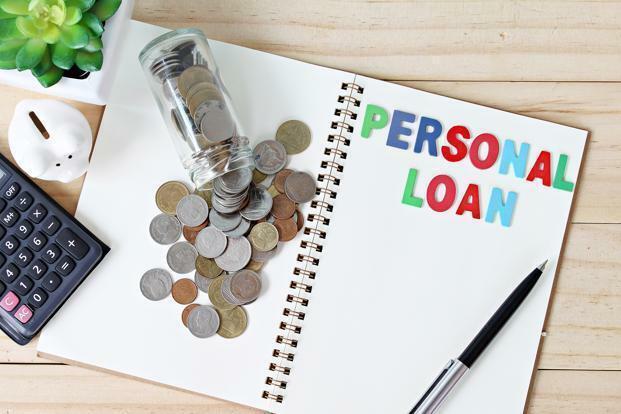 Also, keep the above-mentioned factors for personal loan rejection in mind, to sail through the application process with ease. 6 Factors That Can Lead to a Personal Loan Application Rejection 0 out of 5 based on 0 ratings. 0 user reviews.